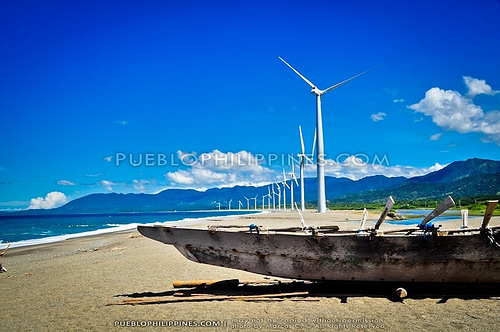 It was time to leave my homestay in Saud Beach and move on with a do-it-yourself (DIY) tour to the Bangui Windmills and Cape Bojeador Lighthouse. 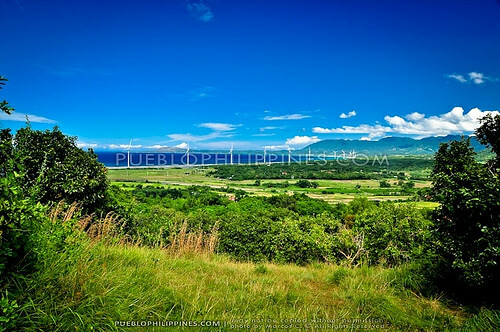 I had a very sublime experience touring around Pagudpud the day before. 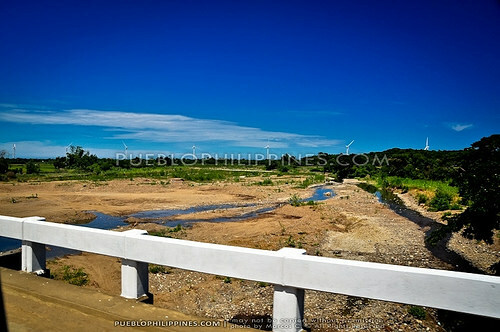 I was surprised to be greeted yet again with the most amazing deep blue skies and sunny weather. I didn’t expect to be so lucky since I was traveling in October, which is usually typhoon season in the Philippines. 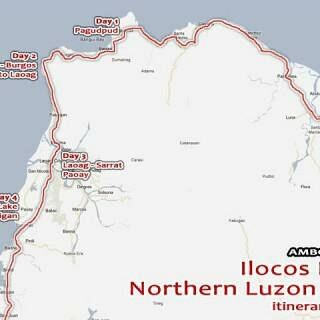 It was the already the 5th day on my plan to encircle the northernmost cape of Luzon. 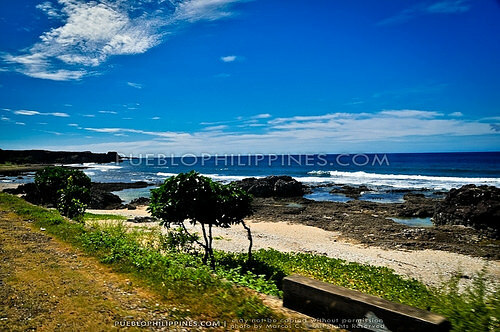 From Saud Beach, I took a 15-minute tricycle ride to the town proper of Pagudpud. 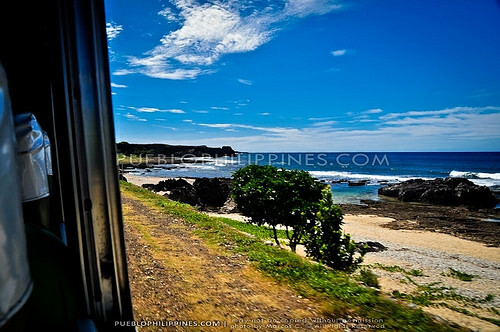 There was a bus (en route to Laoag) parked right beside the Pagudpud Pubic Market. 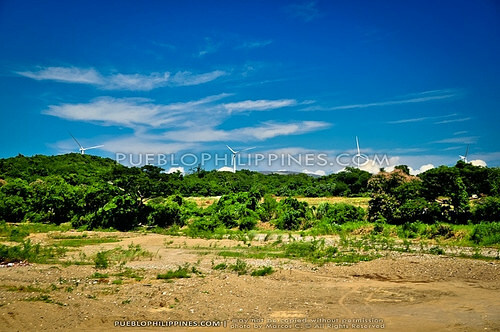 From there, it was another 30 minutes going to Brgy. Baruyen in the town of Bangui. I dropped off at a waiting shed along the highway. It was still a long way to the coast. 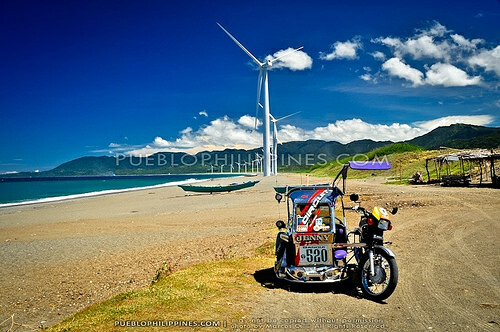 I had to take a tricycle to get to the Bangui windmills. 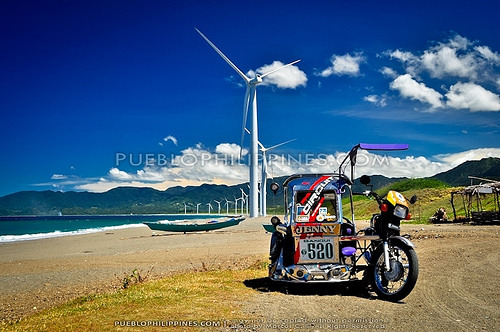 The driver offered me a rate of P100 for the transport to the giant windmills and then to an elevated viewdeck along the highway. 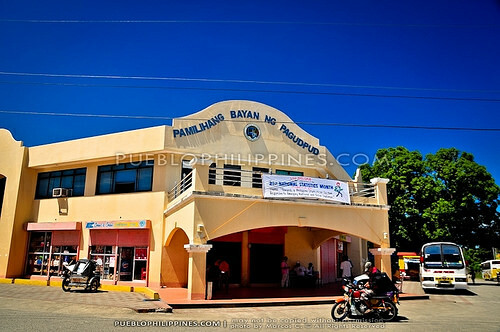 Pagudpud Municipal Hall. Good looking and modern civic buildings in town. 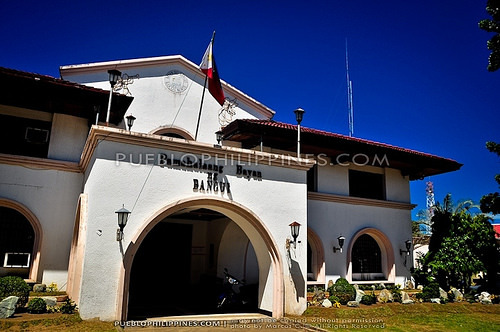 Bangui Municipal Hall. 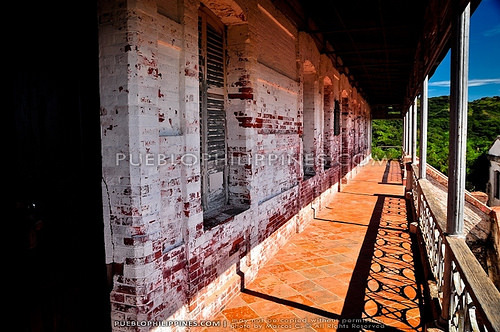 Nice Spanish-colonial architecture. I loved the almost Mediterranean feel and the tiled clay roof. 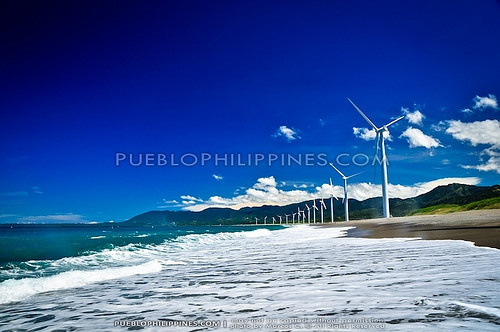 Throughout the years, the Bangui windmills of have become a major tourist attraction not only in Ilocos Norte but the whole Philippines. 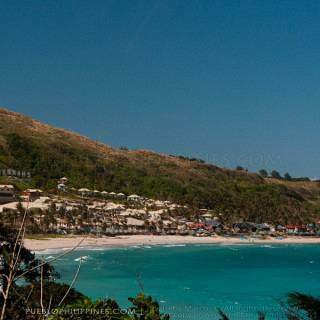 I oftentimes see it featured in DOT tourism ads. I’ve always been baffled about its claim to fame. I get how Dutch windmills could be tourist attractions. I’d like to see an authentic Dutch Windmill myself. 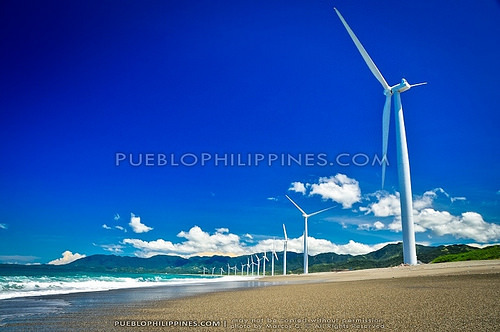 But a modern wind farm? 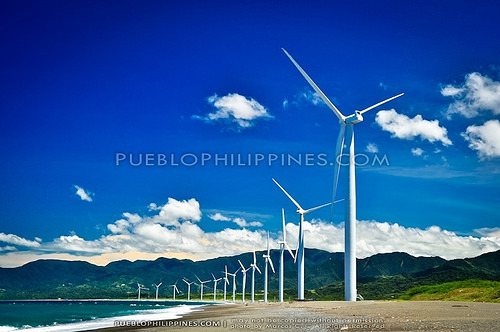 While the rest of the world abhor the sight of large-scale wind farms, Filipinos travel for hours (10 hours by bus if coming from Manila) to Bangui just to marvel at these monolithic structures. 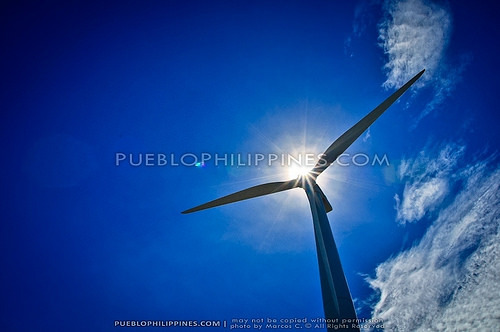 Standing face to face with the giant windmills of Bangui, I was initially awed by its size. 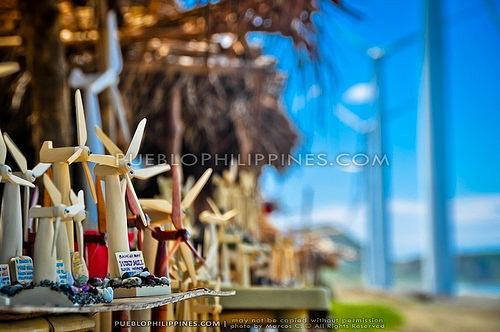 Each of the 15 windmills was as tall as a 15-storey building. I felt like an ant standing beside them. 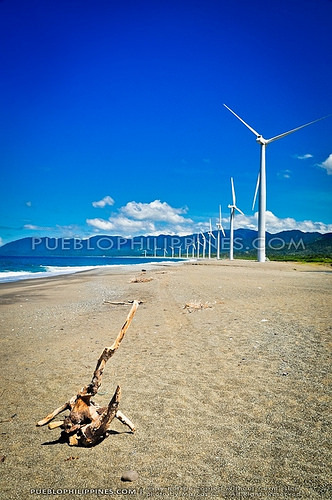 The windmills were spread across a 6.5 kilometers stretch of the grey sand beach. The sight was indeed beautiful. 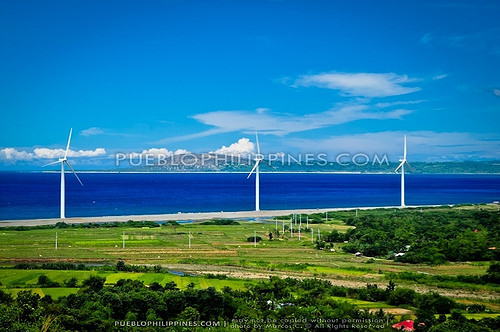 It wasn’t just the windmills that made it a breathtaking sight but the magnificent view of the coast and the backdrop of scenic mountain ranges. 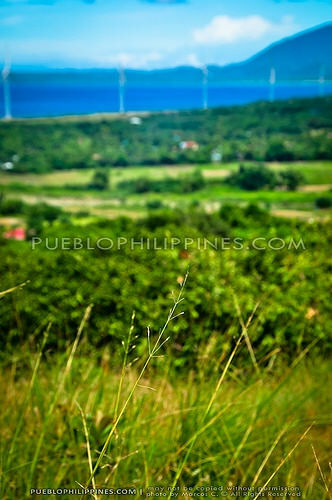 I liked the stark contrast of nature and the minimalist design of the Bangui windmills. Truly, a fitting poster child for “green” energy. The mid-day sun was scorching hot! 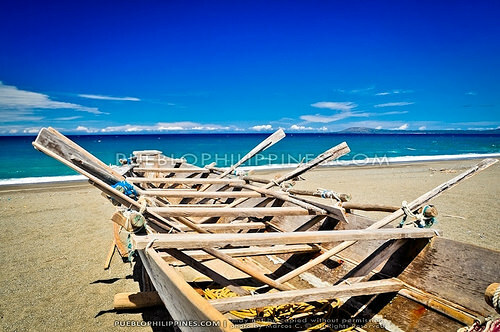 Loven this wooden row boat along the beach. First time to see this kind of boat in the Philippines. Wanting to take a “not-so-usual” shot, I walked a few feet past the water line hoping to include the strong waves in the photo. I had to take extra precaution because the sand was very loose. 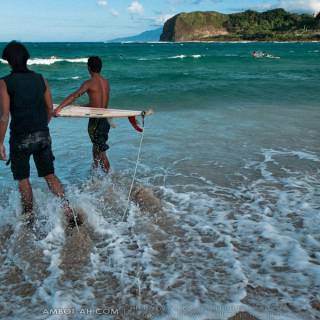 Each wave made my feet sink a few inches deeper. One big wave finally came. I was already sunk 3 inches into the sand and didn’t have enough time to get myself out of the water. Fortunately, I maintained my balance. My camera didn’t get wet but half of my body did, hehe. Taking photos from a safer distance this time. Souvenir sellers along the beachfront. 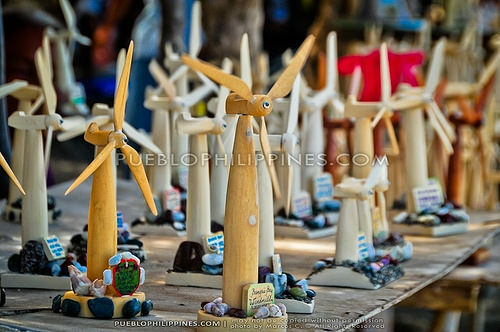 The Bangui mini windmills. Pretty … but I didn’t think it would survive the commute back to Manila. 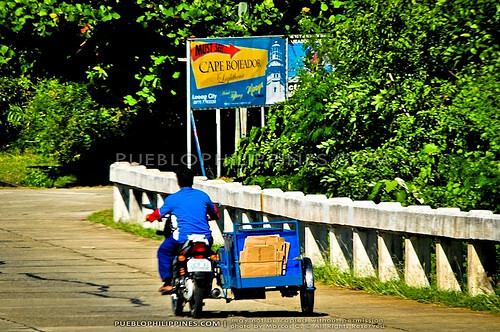 The tricycle driver dropped me off at an elevated view deck along the highway. I took a few photos while waiting for the bus going to my next destination: Bojeador Lighthouse in Burgos town. 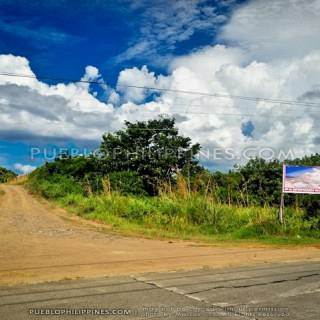 The most buses that pass the highway at Bangui ply the Tuguegarao City – Laoag route. 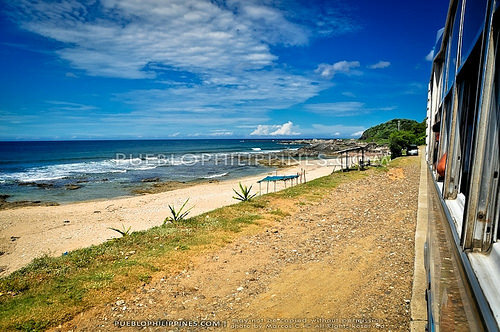 From Bangui, the bus ride took around 20 minutes going to the Bojeador Lighthouse intersection. 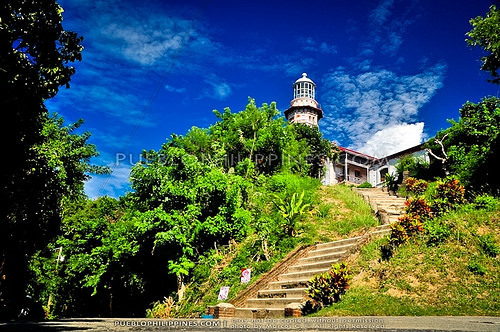 A winding uphill road separated me from the lighthouse situated at the top. 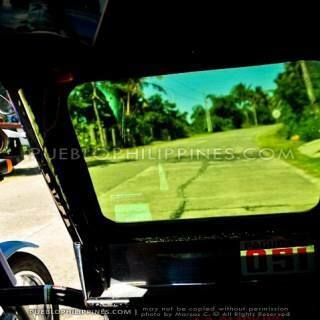 There were no tricycles in sight along the highway. I was hoping to find one because I was carrying my heavy backpack and knew it was going to be a very haggard climb if I go by foot. After 15 minutes of waiting, there were still no tricycles … not even passing people or vehicles. I was left with no other option. It took me 20 minutes to hike up the hill. Thank goodness there were vendors selling cold drinks at the top. 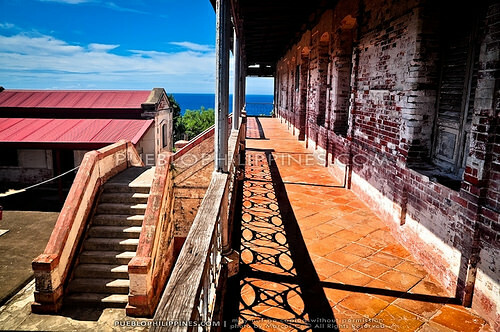 The vendors were shocked that I went up the lighthouse by foot. 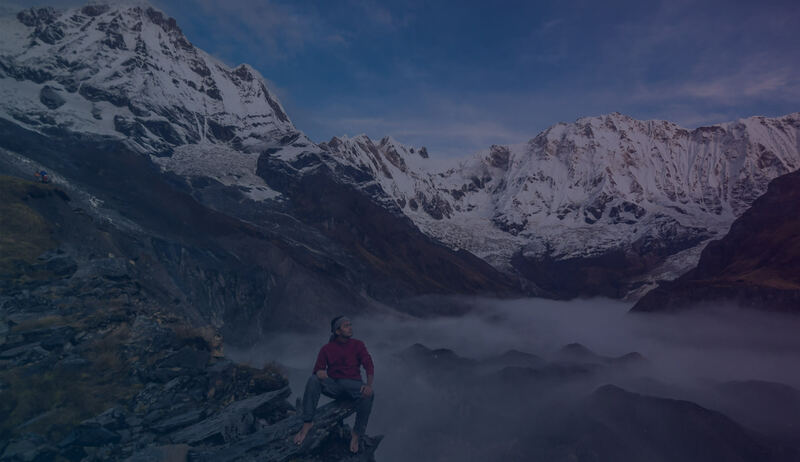 I would be shocked too if I saw myself lunging a big backpack on the uphill road … gasping for breath … and finally looking self-satisfied upon reaching the top as if crossing an invisible finish line . 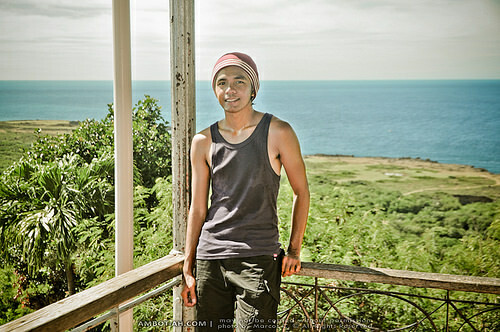 The view of the Cape Bojeador lighthouse was stunning. 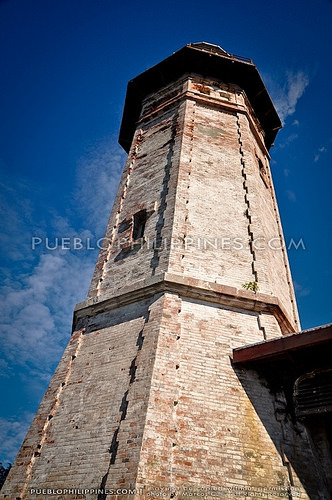 It was my first time to see an old Spanish-colonial lighthouse still intact. 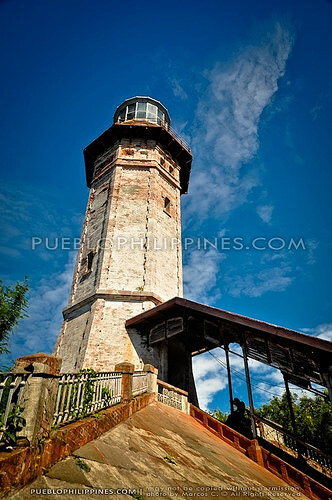 The only other old lighthouse I’ve seen was the Guisi Lighthouse, which was already in ruins. 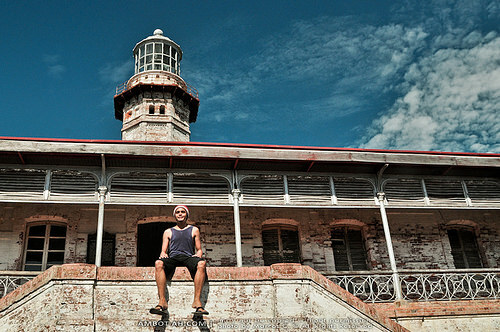 While taking my first shots of the Bojeador lighthouse, I was greeted by some random dude. Of course, I also returned the courtesy. He offered to give me a tour of the lighthouse. I became hesitant thinking he was a tout or something. I didn’t want to pay for a guided tour of the lighthouse. I had little cash left to begin with. I kindly said no but he followed me and gave me the tour anyways. 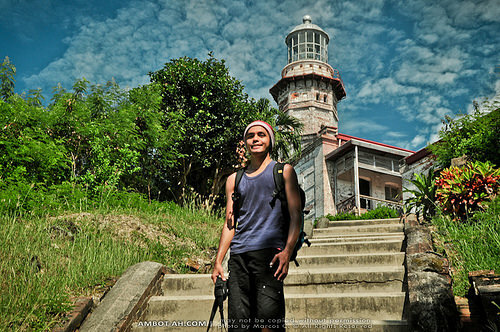 He offered several times to take my photo with the lighthouse. Because of his persistence and seemingly kind aura, I eventually handed him my camera. I was actually shocked because he knew his angles well and even suggested some poses. This guy had a nice eye for photography. I relayed this to him a few times :) At least, if I paid for his services I would come home with really nice souvenir photos with the Bojeador Lighthouse. 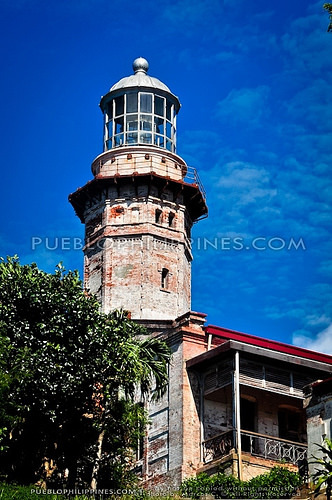 Cape Bojeador Lighthouse, also known as Burgos Lighthouse, is a cultural heritage structure in Burgos, Ilocos Norte. 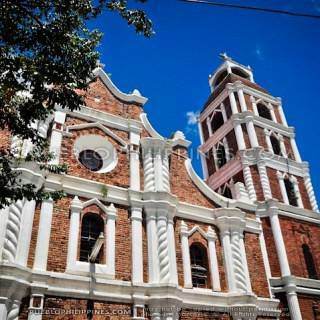 It was established during the Spanish Colonial period in the Philippines. 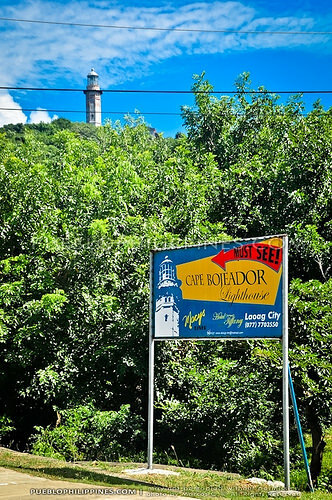 It was first lit on March 30, 1892 and is set high on Vigia de Nagparitan Hill overlooking the scenic Cape Bojeador where early galleons used to sail by. 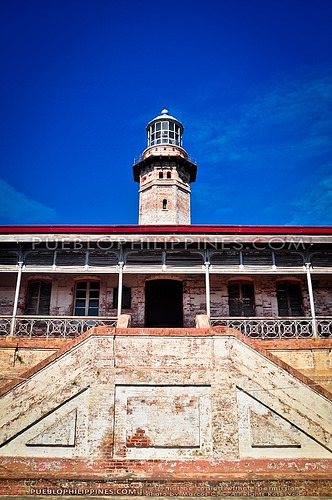 After over 100 years, it still functions as a welcoming beacon to the international ships that enter the Philippine Archipelago from the north and guide them safely away from the rocky coast of the town. 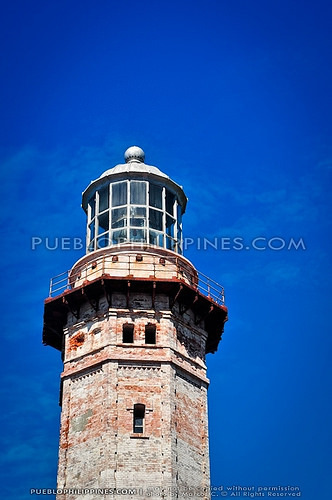 Contrary to popular belief, it is not the highest-elevated or tallest lighthouse in the Philippines. 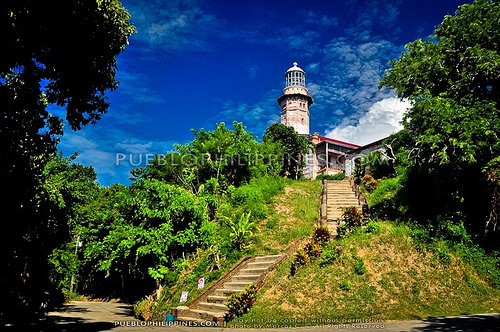 Corregidor Lighthouse is higher at over 600 feet and among the Spanish Colonial lighthouses, the tower of Cape Melville Lighthouse is the tallest at 90 feet. @Girl in black: Get your own personal photographer!? 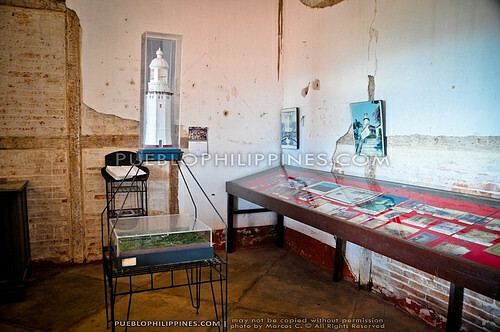 The pavilion has now been transformed into a small museum as well as lodging for people seeking basic accommodation. Except from shared cooking facilities and water from the cistern, no other amenities are provided. 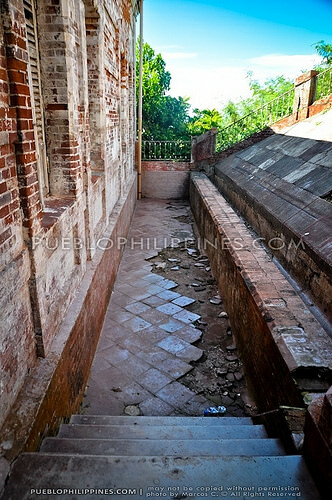 Probably used as a pool / rain water reservoir during the Spanish-colonial times. 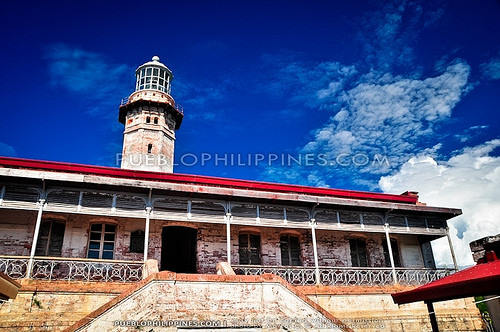 Cape Bojeador Lighthouse was declared a National Historical Landmark on August 13, 2004 and a National Cultural Treasure on June 20, 2005 by the Philippine Government. Loved this shot. Kudos to manong! It was time to say my goodbyes to the romantic lighthouse at Cape Bojeador. I asked manong tour guide: “Magkano po bigay ko sayo?” … How much (money) will I give you? I was surprised when he refused to charge me for being my “official photographer.” Turns out, he was a caretaker at the lighthouse and just wanted to help tourists have a worthwhile visit. The thought was really heartwarming. On my way down, the vendors stopped me for a quick chat. They were still baffled why I (a tourist) would decide to travel alone and go there with no tricycle/car service. At the back of my head I wanted to answer them … like … you do this sort of thing every day, don’t you? It’s really no big deal. 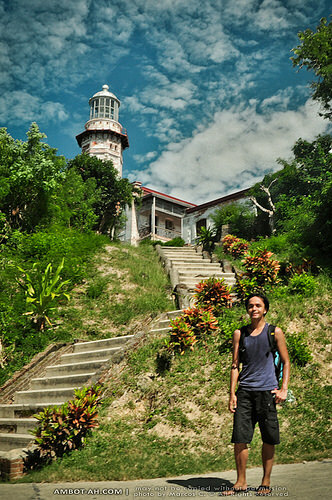 I told them that I really wanted to see the beautiful old lighthouse and the hike was well worth the effort. An ice cream vendor was listening in . He offered to give me a ride back to the highway. Yey! My experience at the Cape Bojeador was really memorable. 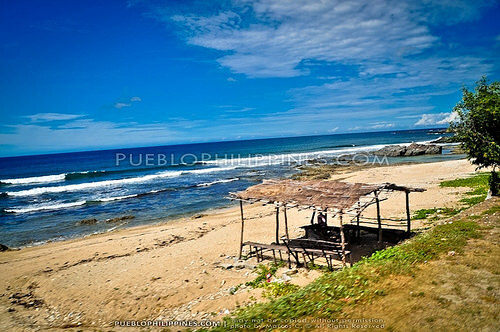 Not only was I presented with the beautiful scenery but also the kindness of the humble vendors and lighthouse caretaker. When I started with my solo travels, I put up a “shell” around myself in fear that other people would take advantage of my “NOOBness”. I learned later on that it’s also important to give off some level of trust. It was through my higher level of openness that I was able to experience the kindness of the people I met on the road. Find more posts about Favorites. 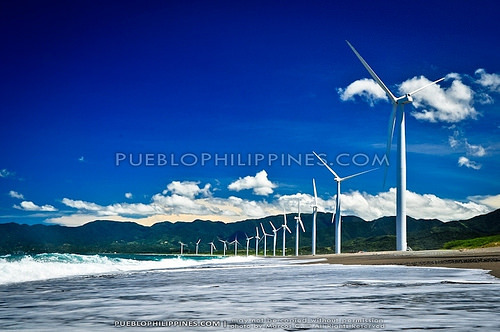 Discover more blogs and travel tips in Ilocos Norte. 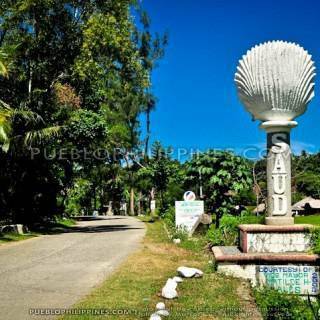 Haven’t been to Pagudpud. Thanks to this post. Ang babaet ng mga tao dun. The caretaker and the vendor are so thoughtful. I would love to meet those kind of people on the road. Ako rin. Would like to meet more people like them during my travels. Naging memorable talaga yung trip ko dun dahil sa bait nila. 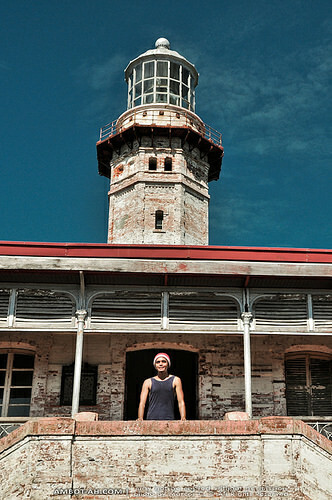 I also met the very kind caretaker of the lighthouse when I visited it last May… he really has great skills huh?! 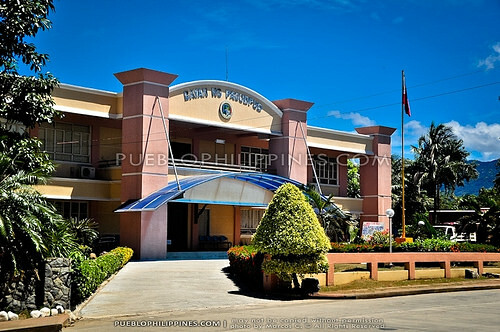 I thought you missed Kapurpurawan, next post po pala… hehehe!!! OMG really? 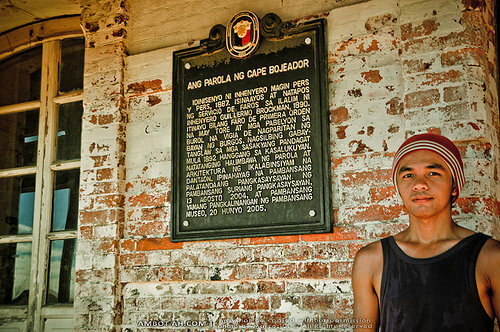 talagang pwede na si kuya maging local celebrity ng Cape Bojeador. 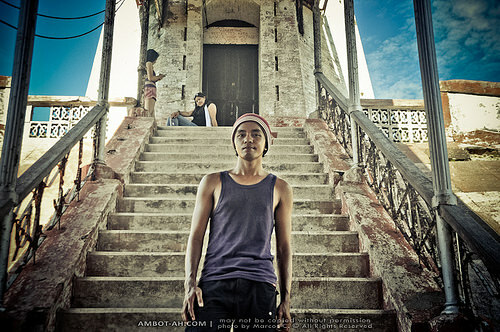 Galing niya kumuha ng photos … and its not the cheesy tourist photos… may talent talaga siya mag compose ng shots. Panalo talagao ang mga kuha mo. Keep it up! As expected, amazing pics from you! Thanks for posting/sharing. Looking forward to your next destination. 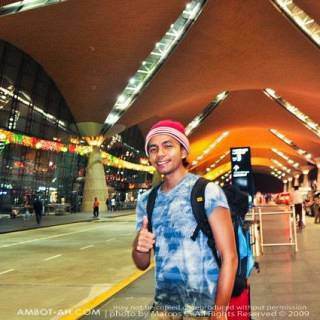 All the best in your next travel. As always, thanks lina ^_^ take care! 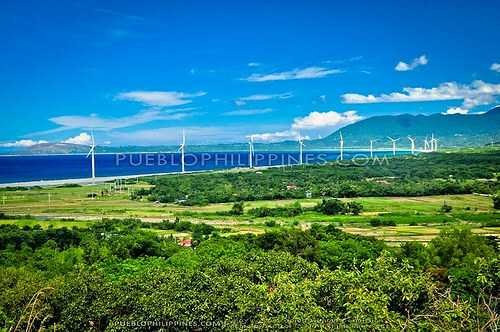 Hi Marcos, i longed to see Pagudpud and the Bagui windmills. I just thought the pix (and all the opther pix u took) are amazingly. This has even fired my desire to go to this place. Thanks for sharing and more power. ps. i’ve been following ur travels/posts via RSS. Thanks JB. Really appreciate your comment. 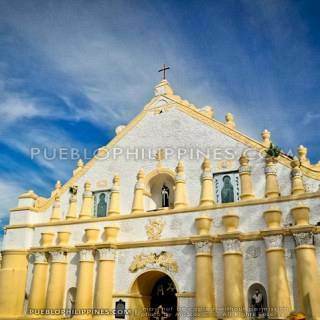 I went solo to Vigan and Laoag last August (long weekend) and planned to proceed further north. Unfortunately, I only had 1 day left and I was thinking that I won’t be able to go back to Manila on time if I pushed through with my plan. 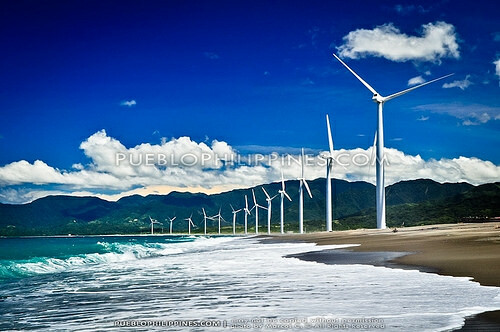 I want to see the windmills at Bangui too! I’ll be there some time. Nice pics! Nice trip sir! 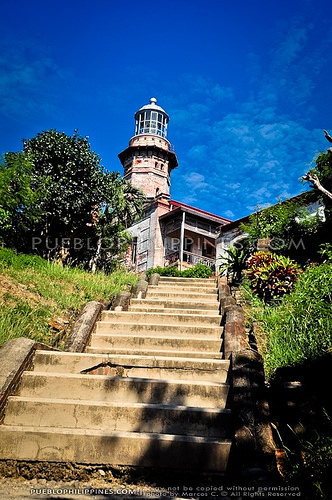 Last Dec 14 and 15, we’ve been there and one of the place we visit ay itong Light house. 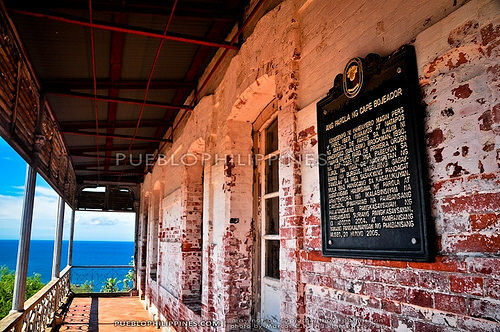 We were n’t allowed to go at the top of the Lighthouse because the caretaker told us that the Philippine Coast Guard started to restrict it. BUT.. hey manong caretaker! Noong sinita ko sya na bakit may mga tao sa taas? Sinabi nya na nag shooshoot daw ang isang Japanese TV Station. “JAPANESE” not FILIPINO. 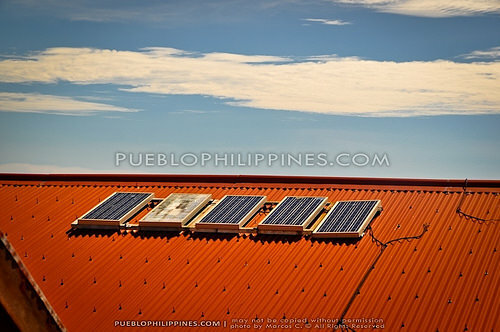 Eh ano pang silbe noong poster na nasa pintuan na ipinagbabawal ang pagpunta ng sinumang tao sa taas due to HIGH VOLTAGE. Hindi na ako nakipag argue sakanya, dahil daw mga japanese. LINTEK… kaya pala nagiging dayuhan ang isang Pilipino dahil din sa kapwa nga Pilipino. UUnahin nya pala ang mga Foreigner kesa sa ka lahi nya. Okay bumaba kami at umalis na. 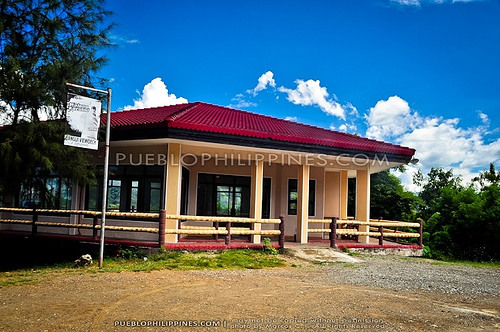 Noong kinuwento ko ito sa aming tour guide… sabi nya nagpapabayad daw ang caretaker! Yun naman pala eh! This is a confirmed story. 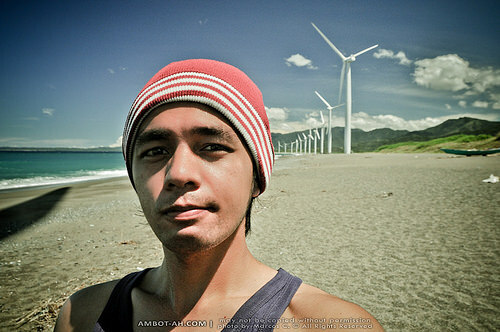 Sir, Nice shot sa Windmill. 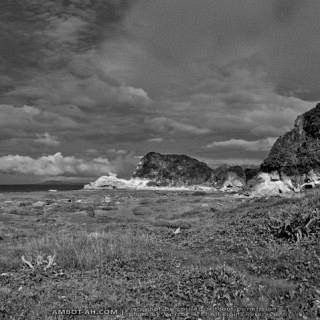 Kaso napakadelikado yung pwesto mo Sir dahil the sand sinks fast at kapag na caught ka ng wave, siguradong lalamunin ka. 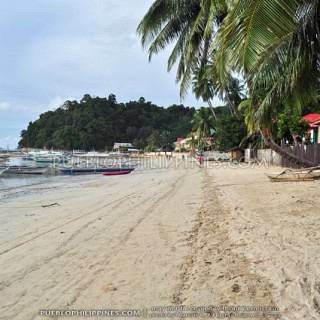 Malalim ang parteng iyan ng beach. Starts at 20 to 30 feet agad. 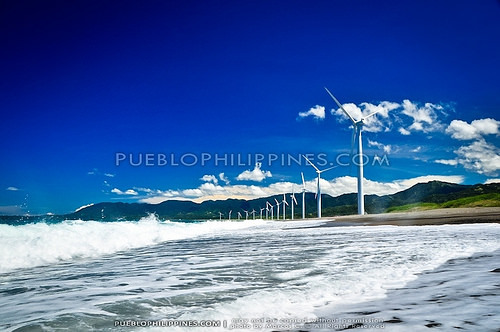 According to our tour guide na si Manong Ferdi (09108591175), the beach is very shallow dahil dyan ini-unload ang mga pyesa ng windmills including yung mga malalaking bakal. Gumawa sila ng port sa area na yan. the trip i had recently came to a reality all because of your blog.thanks marc!!! 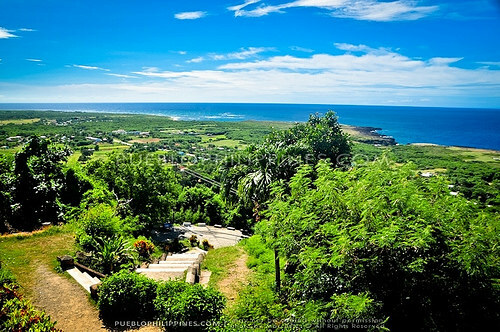 They said, the pool (one of your pics) used to be filled with water by slave Filipinos, getting water from the lowlands taking them to the peak of the lighthouse. Imagine that? whew! 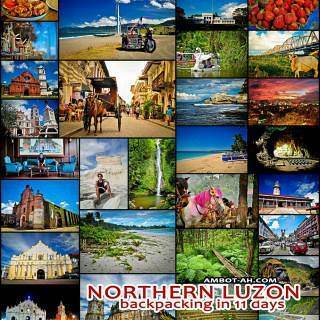 This will be my guide for my 5th Solo Backpack this August- Ilocos Region..Gracias por todo Marcos! I’m used a NikonD40 with 18-105mm VR lens during that trip. 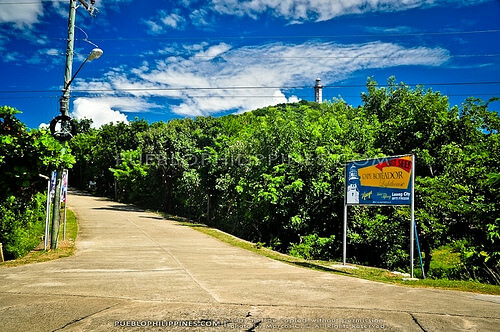 hi sir marc i am roland villaluz a local tour guide in pagudpud, are you planning for a next pagudpud trip, feel free to contact me at 09275590818..
thanks for your last visit. I appreciate how detailed your blog is of your every trip to city to city to get to your destination. I suggest though to edit your pics of the same scene so only the best ones are showcased. Have a safe travel! 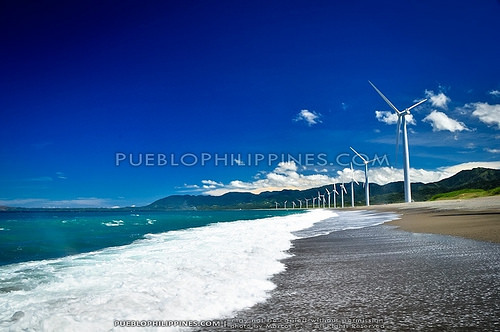 i was born at BANGUI ILOCOS NORTE, my ancestral house is located a few steps from the wind mill, i use to play onthat beach when i was a kid.. thank you for visiting our place. tourist are always welcome..
i was there just last week . 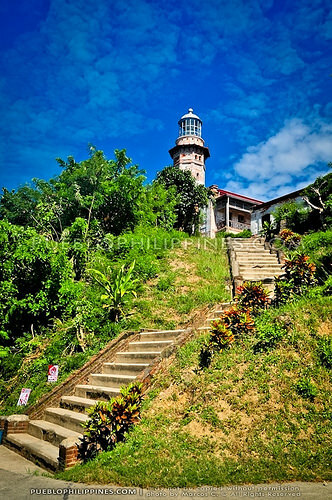 Indi ko maxadong na enjoy ung view sa light house we’ve got arrived in the place at 5pm were just taking picture sa baba lng i didn’t use to see upstare lng light house.. but so wonderful place.. Thanks for sharing this, Marcos! Awesome pics and cool story.